Where Is Liver Pain Located? What Are Liver Pain Associated Symptoms? What Are the Treatments for Liver Pain? As the largest glandular organ of the body, liver is responsible for performing many vital functions every day. It removes toxins and other harmful substances from the body. Every organ in the body is supported in some way by the liver and a person cannot survive with a failing liver. 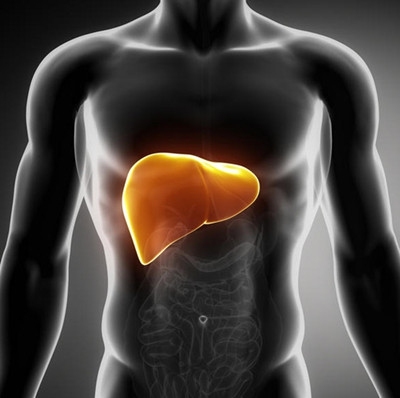 Due to the number of activities performed by the liver, it is susceptible to diseases. Liver ailments can cause complications and be fatal as well. Conditions which affect the liver can cause liver pain. When the pain occurs, many people may doubt whether it is liver pain or pain from other parts of the body, because liver is not in an obvious position such as heart or stomach. The answer to the question "where is the liver located?" is – just on the upper-right portion of abdominal cavity. It is beneath the diaphragm, above the stomach and a small part of the liver extends to the upper left quadrant of the abdominal cavity. Besides knowing "where is the liver located", it is also important to know where the liver pain location is. Therefore, your doctor can make correct diagnosis. The pain is felt in the upper right quadrant of the abdominal cavity, just below the rib cage. The pain is also called as hepatalgia and is usually vague and dull. The pain can become severe and sharp accompanied with a back ache. Liver is covered with a capsule on which pain receptors are placed, and when pressure is exerted on them, liver pain occurs. Liver pain can be easily confused with kidney, stomach or back pain. The other types of pain which occur in the upper right quadrant are abdominal disorders, pancreatitis, intestinal pain and formation of gall stones. Sometimes liver pain can also manifest as right shoulder pain. One of the primary functions of the liver is removing the toxins from the body. When the liver is not functioning properly, the toxins accumulated in the body due to improper digestion can cause further liver damage. One of the best methods to keep the normal functioning of the liver is performing a liver detox or cleansing by lifestyle and dietary changes. Avoid alcohol, spicy and oily or sugary foods and stimulants like tea and coffee. Spicy and oily food causes inflammation of the liver lining and alcohol causes toxins which further damages the liver causing pain. Green leafy vegetables, sprouts, bitter gourd, cabbage and fruits like papaya should be consumed. Garlic has anti-fungal and anti-inflammatory properties which help in improved liver functioning and digestion. Buttermilk, cow’s or goat’s milk reduces the heat in the body. Aloe vera juice is also said to be beneficial for liver health. Plenty of water should be consumed to cleanse the liver. Getting adequate sleep and not staying up late is also recommended as it improves digestion process. Exercising also helps digestion and should be taken regularly. Server responsed at: 04/25/2019 6:31 p.m.